Aloe Vera has been known for many years for its exceptional qualities. Forever invites you to discover Aloe Berry Nectar, Aloe Vera gel mixed with the sweet flavor of cranberry and with the slight acid taste of the apple. 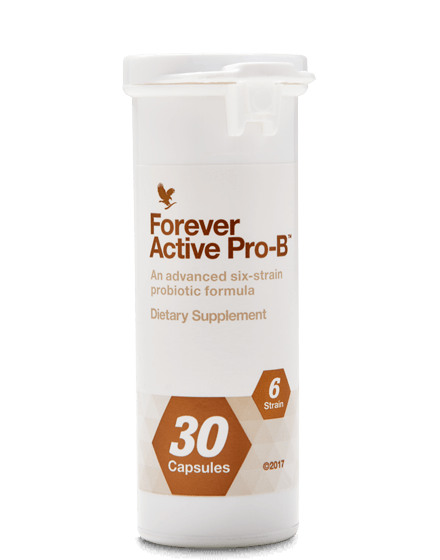 A 100% natural combination for better digestive balance and enhanced immunity. 90.7% Aloe vera pulp, concentrated apple juice, cranberry concentrate patent unique in the world of stabilization to preserve the qualities of the raw plant and increase by 300% the bioavailability of vitamins. The TetraPak packaging used is made of 6 layers that ensure total opacity, protecting the pulp from the harmful effects of light, and it is 100% recyclable. The product is appreciated both for its refreshing quality and the benefits it provides. You will find in Aloe Berry Nectar Forever both the virtues of Aloe Vera and the surprising qualities of cranberry. An association that acts smoothly and effectively on the body to provide an optimal level of well-being in everyday life. Studies have shown that the consumption of Aloe Vera pulp with cranberry and apple extracts has beneficial effects, one of the most important of which is to strengthen the immune system. Cranberry is rich in vitamin C, potassium, sodium and phosphorus. Its many components act in different ways, especially in the prevention of various infections and especially those of the urinary system. The cranberry extracts found in Aloe Berry Nectar also help prevent certain stomach infections, especially those caused by “Helicobacter pylori” including ulcers or chronic gastritis. The fruit also has powerful antioxidant powers that act against free radicals, thus regulating gastrointestinal disorders. Associated with the effects of the apple, rich in fiber, the cranberry contributes to offer a better digestive comfort. But it is also known for its preventive qualities against the appearance of cardiovascular diseases. The flavonoids that compose it contribute to considerably reduce the risks of atherosclerosis, to lower the arterial pressure, but also make it possible to control the cholesterol level. The aloe vera gel contained in Aloe Berry nectar contributes to the natural defenses against micro-organisms and strengthens the immune system. Aloe Berry Nectar is enriched with cranberries known to improve the functioning of the urinary system. The benefits of Aloe Vera combined with cranberry make Aloe Berry Nectar a drink rich in antioxidants. Aloe Vera contained in large quantities in Aloe Berry Nectar is known to be 5 times more moisturizing than water because of its wealth of bio-available miners. Aloe Berry Nectar is mainly composed of Aloe Vera but also enriched with apple extracts. The combination of the two will strengthen the digestive system. Aloe Berry Nectar by its composition, especially rich in Viatamine C will come to combat the effects of fatigue and give you energy. 30 to 40 ml, 3 times a day on an empty stomach, or 90 to 120 ml in the morning fasting, its taste is slightly sweet and will be appreciated by all. Shake lightly before serving. Available in pack of 3 bottles. 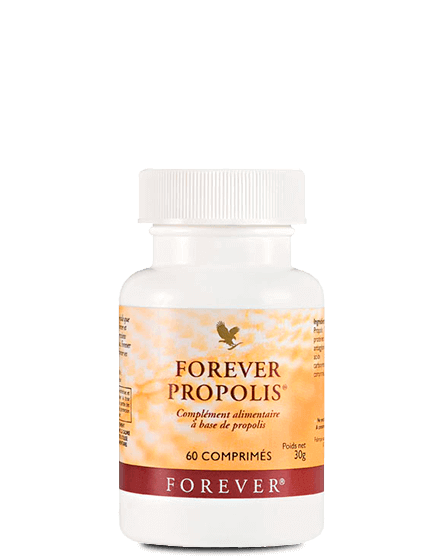 The Forever Propolis has anti-microbial properties, it will protect the body from the proliferation of fungi and bacteria. Associated with the Aloe Berry Nectar its action will be strengthened. 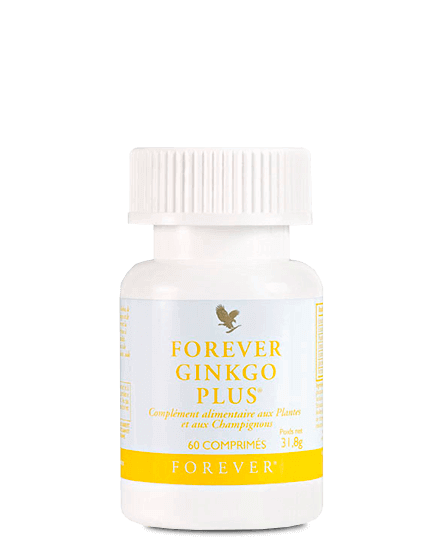 Forever Ginkgo by its composition of 3 Chinese plants will strengthen the blood system and support natural defenses. Used in synergy with Aloe Berry Nectar it will help you to find better vitality and a strengthened blood system. How much Aloe Berry Nectar should I drink? It all depends on why you drink aloe vera pulp. Some people take a small amount between 40 and 60 ml per day to maintain their general well-being. Others use it for specific purposes, in case of illness or chemotherapy and the doses can vary from 100 to 200 ml per day. The doses recommended by Forever Living are 90 ml per day for an adult and 1 ml / kilo day for a child. Of course you can exceed these doses without risk of side effects. Can I mix Aloe Berry Nectar with something else if I do not like the taste? 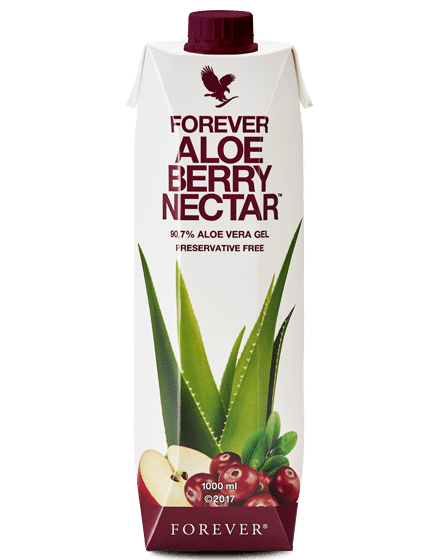 Aloe Berry Nectar has a slightly sweet taste due to its cranberry and apple content, so it is pleasant to taste and easily drink without adding anything. But if you prefer to add water or fruit juice it’s up to you of course. When is the best time to drink Aloe Berry Nectar? The ideal is to drink your Aloe Berry Nectar in the morning on an empty stomach in one take. But you can also take it in 3 times, the important thing is to take it on an empty stomach and wait at least 5 minutes before drinking a hot drink so as not to alter the raw quality of the plant. How long will I feel the effects of Aloe Berry Nectar from Forever? There is no rule, it varies from person to person. In general, most people experience positive effects at the beginning of the third bottle (between 3 and 4 weeks with a dose of 90 ml per day) but there are people who see improvement after the first week and others not before 3 months. It all depends on the poisoning of your body and its level of tone. Comment stoker l'Aloe Berry Nectar ? If the bottle has not been opened you can keep the can of aloe gel stabilized about 2 years out of the fridge in a cool and dry place without problem. On the other hand, once opened, the bottle must be stored in the refrigerator and consumed within 2 months. Is the same patented process used? The patented pulp stabilization process is no longer used. – Aseptic process = from production to bottling, all the steps are performed under aseptic conditions, that is to say in a place where all microorganisms have been destroyed. Therefore, on the one hand the Aloe vera gell is flash-pasteurized, and on the other hand the environment and the bottling equipment are sterilized. TetraPak is also aseptic and the filling is done under vacuum. So all the conditions are right for production and packaging to take place in an environment without microorganisms. You will notice that the texture of the new pulp is different from those in tin. The pieces of Aloe vera are smaller.